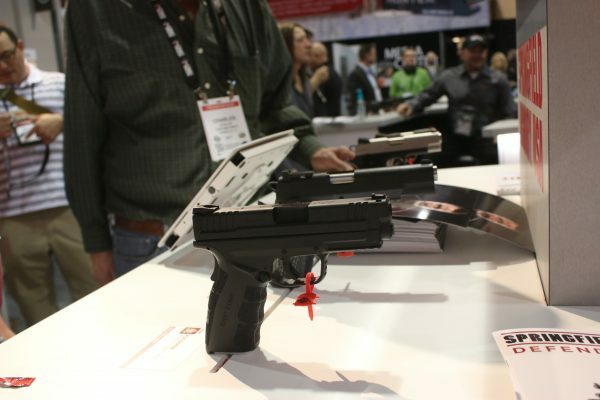 The 39th annual SHOT Show 2017 got underway in Las Vegas this week with gun makers displaying their newest firearms, but few companies have as many exciting things happening for gun lovers than Springfield Armory. New this year the company has launched five new handguns and their first AR-15 called the SAINT. The new handguns include the XD Mod.2 Tactical in .45 ACP, the XD Mod.2 Service Model in .45 ACP, the EMP Lightweight Champion with Concealed Carry Contour, the EMP All Black, and the 1911 TRP Operator, Tactical Gray. 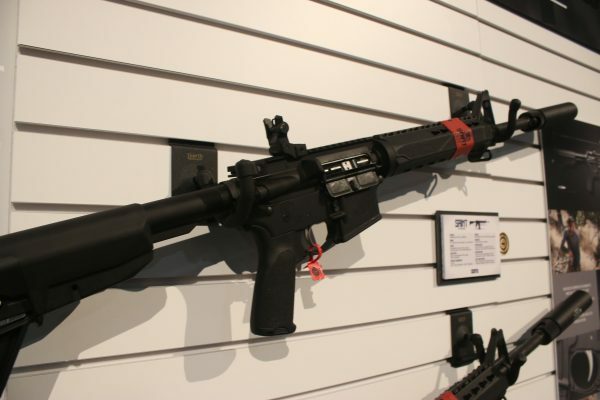 The flagship SAINT AR-15 brings an affordable price point for a tactical rifled at $899. Built with aircraft-grad aluminum and a 16-inch Chrome Moly Vanadium barrel, the SAINT joins its upper and lower receivers with Springfield Armory’s Accu-Tite system. Micro-polished, Nickel Boron trigger components offer a smooth and precise pull. Among the handguns, the XD Mod.2 Tactical builds off the five-inch barrel pistol launched in 2016 but with .45 ACP chambering. Featuring fiber-optic front sight and low profile combat rear sight, it also packs 13 rounds of ammunition into a pistol that’s more like a standard 9mm. The XD Mod.2 Service Model, meanwhile, adds ergonomic enhancements that makes this .45 ACP even easier to handle. This gun features a Carbon steel Melonite barrel, forged steel Melonite slide fiber optic and dual spring recoil system. 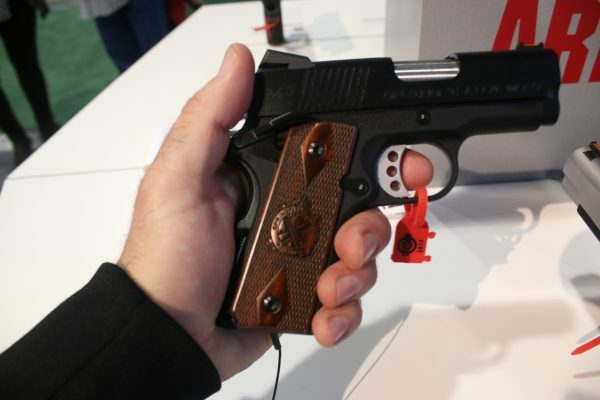 For fans of the 1911, Springfield Armory has a new rendition in the 1911 TRP Operator. 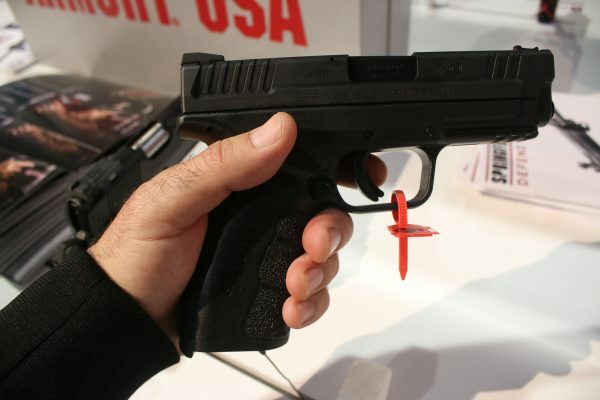 This gun was designed to resemble the FBI contractor pistol. The new model also includes an accessory rail for attachments such as lights and lasers. 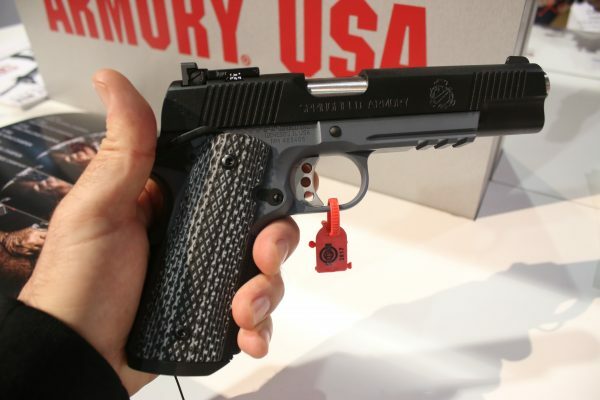 On the EMP side, Springfield Armory is showcasing the EMP4 Conceled Carry handgun. As one of the most elegant concealed carry guns, the company has streamlined the design even further, eliminating that tell-tale bulge in the grip and adding some style.